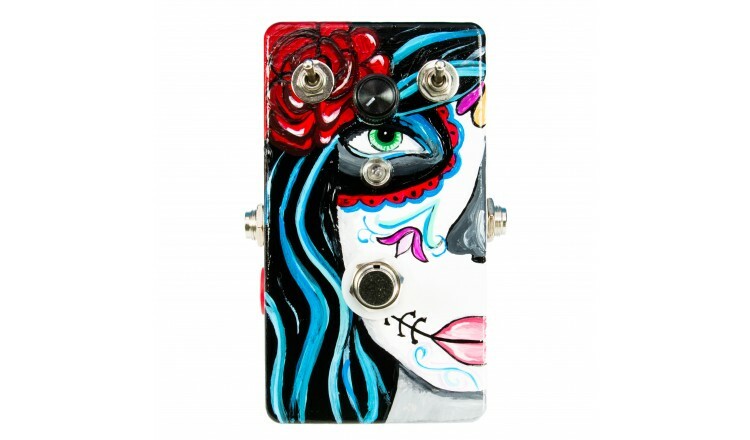 This hand-painted pedal is loaded with our unique "Wooody" overdrive - booster. 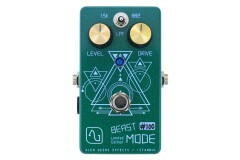 Alen Geere Wooody is a tweed like sounded overdrive - booster that we designed and loaded with a rare USSR Russian BJT device. 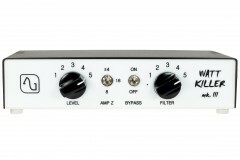 It seems like regular one knob pedals but it has much more than looks like. 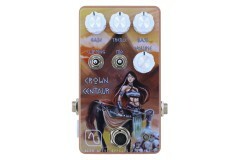 All shades of gain can be controlled with guitar volume knob! Left Toggle switch has 3 position and adds NOS germanium or Silicone clipping diodes to circuit. 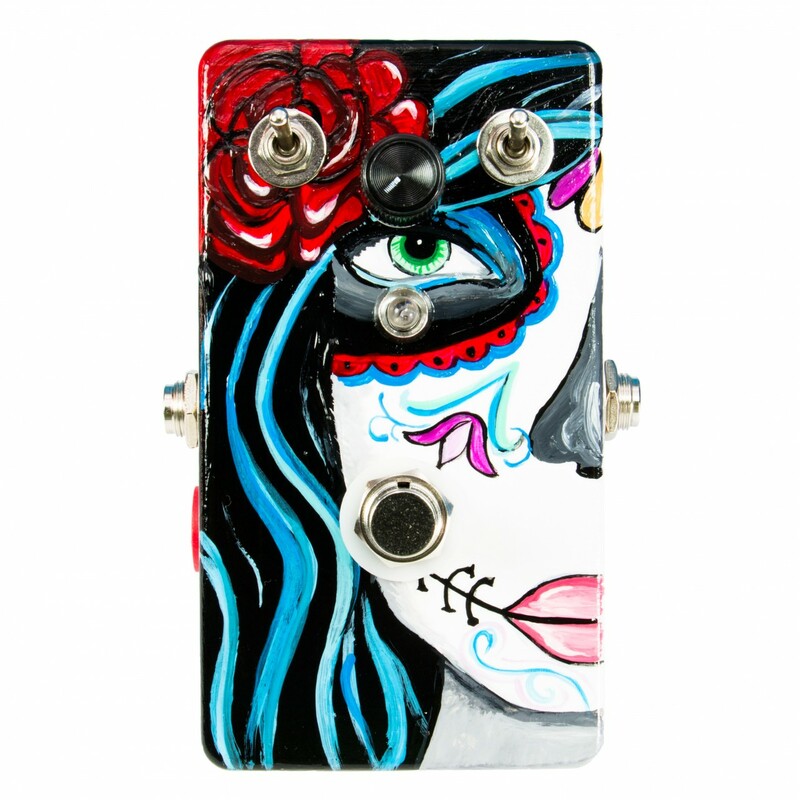 Right toggle switch has also 3 position and adjusts gain and determines frequencies to boost. 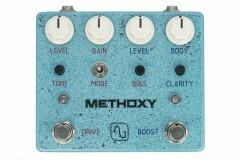 You can get lots of sound with this pedal.